Asian Americans/Pacific Islanders (AAPIs), like all people, experience various types of mental health stress. These symptoms can include having a depressed mood, obsessively worrying about the future, under- or overeating, having headaches and/or other pain, binge-drinking, having trouble sleeping/sleeping too much, and procrastination. As with many communities of color, mental health is often viewed by AAPIs as a taboo topic, associated with personal weakness or familial shame. But AAPIs do often struggle with emotional distress, and many times it becomes more significant during college, where it can become more and more disruptive to everyday life. The HCAP Mental Health Program aims to create conversations about AAPI mental health amongst students, faculty, and staff. We aim to create spaces to discuss mental health in open and intersectional ways. 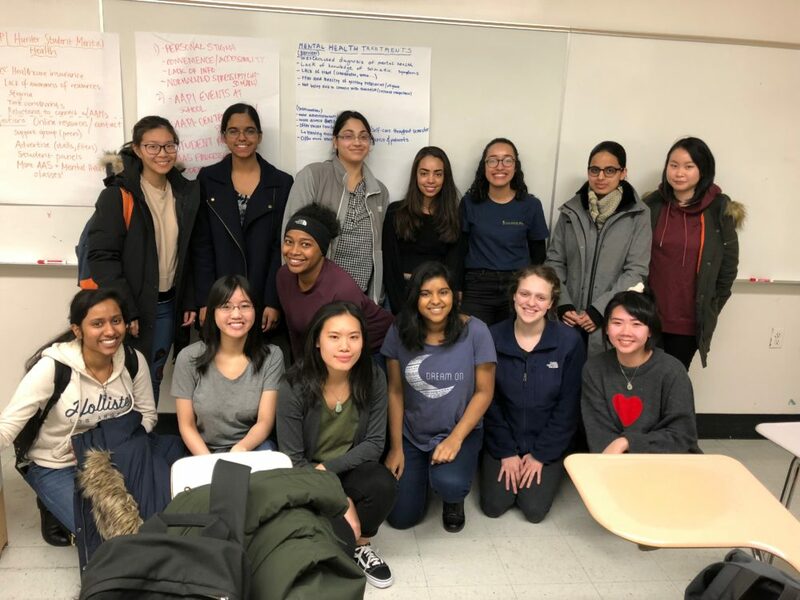 Our hope is that by more openly discussing how AAPI mental health impacts the college experience, we can further de-stigmatize mental health issues at Hunter for all students. We also hope to foster an environment where students can be easily connected to support and resources throughout their time at Hunter. Academic Courses: ASIAN 230.02 – Asian American Communities and Mental Health (3 credits) – an undergraduate course that fulfills the Hunter Core requirement for Individual & Society offered every fall and spring semester. 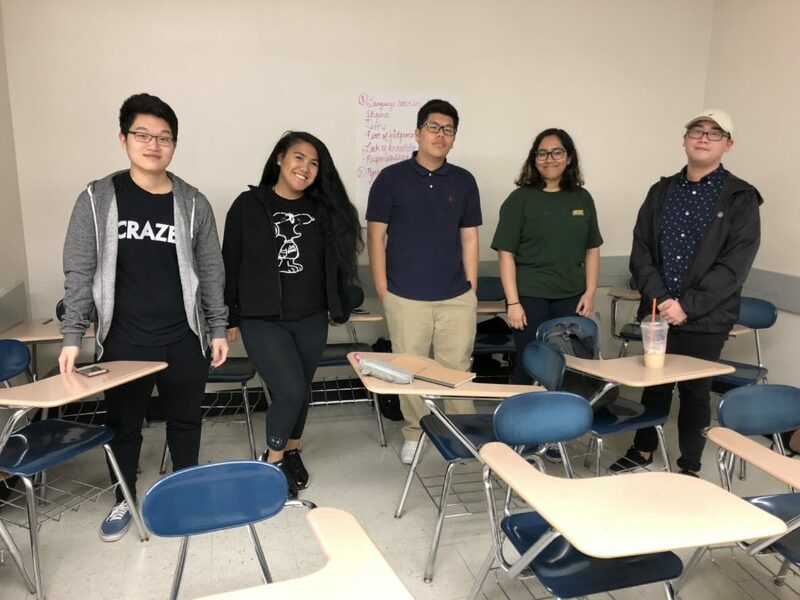 Events – such as: workshops, panels, film screenings, discussion groups hosted throughout the semester where students can learn about and discuss AAPI Mental Health. 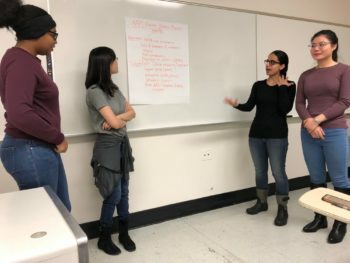 Connecting Students to Resources – opportunities to connect and learn about mental health resources on campus and in the NYC community. 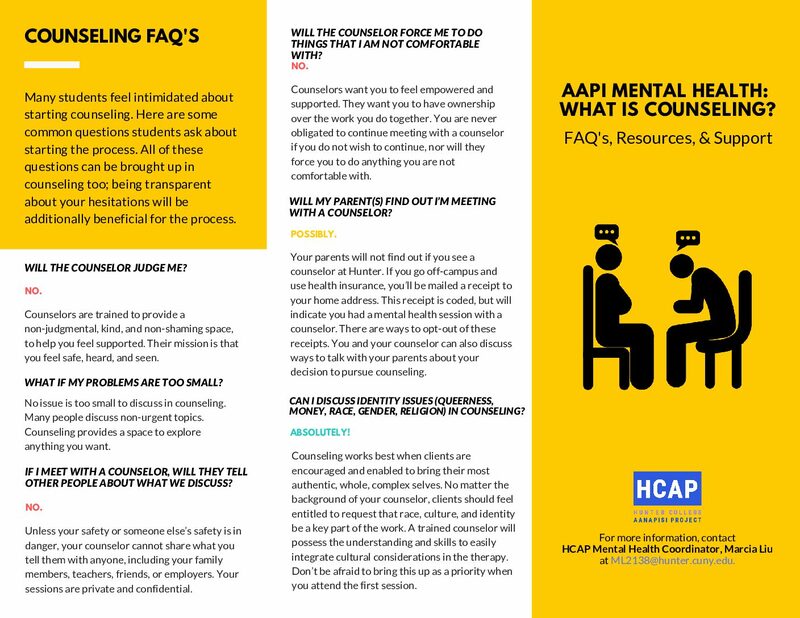 Online and Printed Materials on AAPI Mental Health – brochures, guides, and resource lists on AAPI Mental Health education, FAQs about counseling, and community resources.